Hiking on a wooded trail. Riding a bike down the street. Doing crunches on a stability ball. Hitting the slopes. Walking up the stairs with ease. These are more than simple pleasures you can enjoy by living a healthy lifestyle. They’re also proof that your body’s ability to balance while doing a variety of things is pretty amazing. Even when you’re not thinking about it, your body is balancing—in everyday life, when you exercise, and during your active pastimes. Most people don’t spend any time thinking about their balance until it’s too late—when they actually fall or injure themselves. But balance isn’t just a concern for the elderly who are more prone to falls (and the serious complications those falls can cause). Balance training is important for everyone, from athletes to casual exercisers. Good balance and a strong core go hand in hand, and a strong core usually means better posture, less back pain and improved performance during exercise and athletics. Plus, the better you balance the less likely you are to fall or injure yourself. If you haven’t thought much about maintaining—or enhancing—your balance, now is as good a time as any to start. You’ve probably seen lots of fancy fitness gizmos that are designed to help you improve your balance—everything from a simple stability ball to balance boards, inflatable balance discs, BOSU trainers, foam rollers and more. While these items certainly add challenge to your workout, you really don’t need ANY fancy equipment to improve your balance. In fact, you can turn just about any standard strength-training or flexibility exercise into one that does double duty by improving your balance while you work your muscles. With multi-tasking moves like these under your belt, that means you won’t have to spend more time exercising just to improve your balance. Find out how! 1. Change Your Base of Support. Balance is your ability to maintain your center of gravity over your base of support. When you’re standing up, your legs are your base of support. The wider your legs are, the wider your base is and the easier it is to balance. The closer your legs are together, the narrower your base of support is and the harder it is to remain balanced. One of the easiest ways you can challenge (and therefore help improve) your balance during any standing exercise is to gradually narrow your base of support until your feet and legs are together while you perform your exercise. Bring your legs closer together while you do standing biceps curls, shoulder raises, squats or other upper body moves. Be sure to keep your abs pulled in tight and make sure you’re not leaning backward as you perform your exercises. Note: You can also widen or narrow your base of support while lying on or sitting on a stability ball to perform exercises, so try this progression when you’re on the ball, too! 2. Try It on One Leg. Once you’ve mastered doing an exercise with a narrow base of support, you’re ready for the next challenge: balancing on a single leg. Instead of standing on both legs during some of the same moves above, try it on a single leg. Start by just lifting one heel (keeping your toes on the floor) while doing your upper body moves or working up to a single leg squat. As you get better, lift that foot off the ground completely. From there, you can play around with the position of your lifted leg—holding it behind you, in front of you, to the side or, for a greater challenge, moving that leg while you balance on the other leg and perform upper body movements. Just be sure to alternate legs to keep your strength and muscle tone balanced (no pun intended) between both sides of your body. Tip: You can also experiment with momentary one-leg balances. For example, on a forward lunge, lift your front or back leg for a moment each time your push up out of your lunge. Your sense of vision is a big part of the balance equation. It works hand in hand with the vestibular (inner ear) and proprioceptive systems to maintain balance and prevent falls. By staring at a single focal point (minimizing your head and eye movement), you’ll balance more easily. If you move your gaze or take vision out of the equation altogether, it’s harder to balance. This option is definitely a challenge—not something for beginners and not something you can do in any given situation. You’ll want to make sure you’re in a controlled environment and that your body is planted (don’t attempt this while walking or hiking or moving through space). You can start by just standing up tall and closing your eyes without moving. Over time, combine the narrow base of support with some one-leg balances while closing your eyes. You might be surprised how challenging it is to simply stand with your eyes closed, let alone stand on one foot or while doing a biceps curl. Just be sure to use your best judgment and listen to your body when trying this technique. Safety first! Now you know how to make balance training a fore thought instead of an afterthought in your workouts—without spending more time. By using these techniques and really paying attention to your body as you exercise, you should notice improvements in your balance, coordination, posture, core strength and agility—ones that you can carry with you as you age, help you prevent spills and falls, and build your confidence when trying new and exciting fitness pursuits! Couples live together, rather than marry, for a variety of reasons. This type of relationship is often referred to as a domestic/universal partnership or a Common law marriage. It is becoming a rising trend in our country. The 2001 Census estimated nearly 2.4 million people were living together in South Africa unmarried and therefore afforded minimal protection in our law. 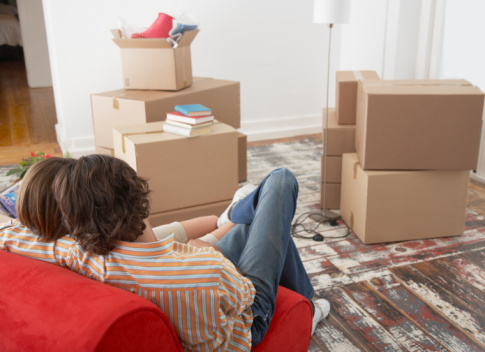 Living together with your partner does not establish any legal rights and duties between you, regardless of how long you have been living together, whether it is for six days or six years, you generally have no legal protection especially regarding property. 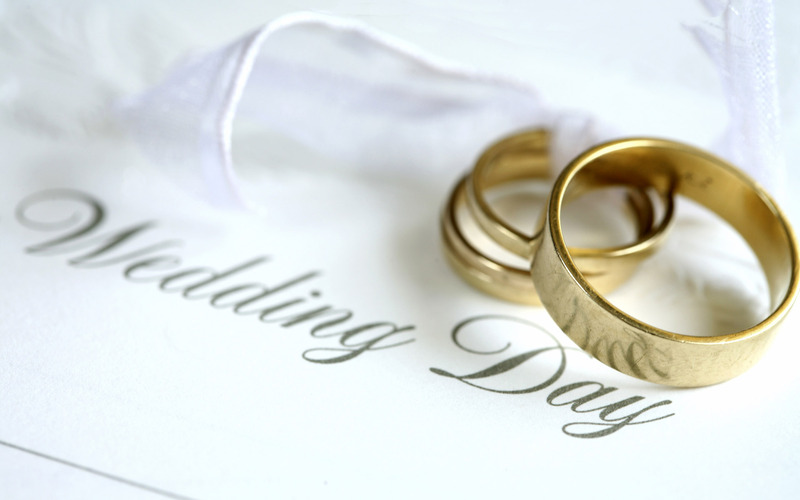 Common law marriages and domestic partnerships are not acknowledged in our law and it is therefore not considered as a marriage in community of property as many people wrongfully believe. How can you protect yourselves? By entering into a written agreement. It will determine and regulate the rights and duties between you and your partner. For instance, the division of the property if you should terminate your relationship, financial contributions to the joint household, rights and obligations towards each other and the division of assets jointly acquired by the parties during your relationship especially on termination of the relationship. This content of such an agreement can mainly be determined by the parties as long as it is not illegal or immoral and the effect is that parties have joint control over assets. 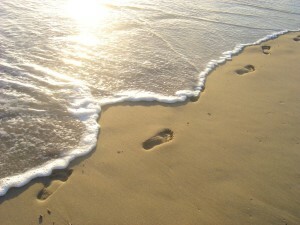 If your relationship should terminate and there is no agreement, each party would walk away with the assets he/she brought into the relationship and with what he/she obtained in his/her own name, regardless of whether or not the other party assisted in obtaining the asset or increasing the value thereof. The problem that exists is that a universal partnership is extremely difficult to prove in our country. Each party brings something into the partnership, should it be money, labour or a skill. By sekwestrasie van ‘n skuldenaar se boedel stel die Meester van die Hooggeregshof ‘n kurator aan wie die skuldenaar se bates op ‘n geordende en effektiewe wyse invorder en realiseer sodat betaling van sy krediteure kan geskied. Vanaf datum van sekwestrasie vestig alle bates, roerend sowel as onroerend, in die kurator van die insolvente boedel en mag die insolvente skuldenaar geensins daarmee handel nie. Gades getroud binne gemeenskap van goedere se gemeenskaplike boedel word insolvent verklaar, en dus is beide gades insolvent. ‘n Ingrypende bepaling van die Insolvensiewet is waar gades buite gemeenskap van goedere getroud is. Die Wet bepaal dat alle bates (roerend en onroerend) wat aan die solvente eggenoot behoort, ook vestig in die kurator van die insolvente boedel en mag die solvente gade dus nie daarmee handel nie. Die solvente gade moet eers bewys lewer aan die kurator dat die eiendom nie deel uitmaak van die insolvente boedel nie en eers wanneer die kurator die bate(s) formeel loslaat, mag die solvente gade weer daarmee handel. Indien ‘n insolvente boedel oor onroerende eiendom beskik moet die Registrateur van Aktes ‘n interdik aanteken teen die titelaktes van al die onroerende eiendomme wat in die naam van die insolvente boedel geregistreer is in die Republiek. Dieselfde interdik word ook aangeteken teen die solvente gade se onroerende eiendom. Hierdie interdik bepaal dan dat slegs die kurator daarmee mag handel. Wat gebeur waar onroerende eiendom in beide gades se name geregistreer is en die gades skei voor sekwestrasie? Waar eiendom in beide gades se name geregistreer is (getroud binne of buite gemeenskap van goedere) en die partye skei, sal die akte van dading bepaal wat met die onroerende eiendom moet gebeur. Wat is egter die posisie waar die akte bepaal dat die eiendom na een gade oorgedra moet word, maar voordat die onroerende eiendom oorgedra kan word, word een van die partye se boedel gesekwestreer? Omdat die onroerende eiendom op die stadium steeds in beide partye se name geregistreer is, onstaan die vraag of die eiendom gaan na die gade wie daarop geregtig is in terme van die akte van dading of na die kurator wie aangestel is om die insolvente boedel te beredder? In die saak van Corporate Liquidators (Pty) Ltd v MA Wiggill is beslis dat ‘n party op die datum waarop die egskeidingsbevel gegee word geregtig word op die bate(s) soos uiteengesit in die akte van dading en selfs as die onroerende eiendom nog nie oorgedra is in voormelde party se naam nie, die kurator van die ander party verplig kan word om oordrag te bewerkstellig en vestig die eiendom dus dan nie in die insolvente boedel nie. Wat gebeur indien die verkoper van eiendom gesekwestreer word voordat die eiendom in die koper se naam geregistreer word? Hier het ons te doen met ‘n “onvoltooide kontrak” en in so geval het die kurator die keuse om met die kontrak voort te gaan of dit te kanselleer. Indien die kurator kies om voort te gaan met die kontrak moet hy alle verpligtinge nakom in terme van die kontrak, dit wil sê hy tree in die skoene in van die verkoper. Waar die kurator egter besluit om die kontrak te kanselleer (dit sal byvoorbeeld gebeur waar die kurator van mening is dat die koopprys nie die werklike waarde van die eiendom weerspieël nie en ‘n hoër prys bekom kan word) dan kan die koper glad nie eis dat die eiendom aan hom oorgedra moet word nie – in regsterme mag die koper dus nie eis vir spesifieke nakoming nie. Waar die koper reeds die volle koopsom oorbetaal het aan die verkoper voor sekwestrasie, is die koper in die nadelige posisie dat hy die koopsom verloor en slegs ‘n konkurrente eis daarvoor het. Indien die koopsom nog nie betaal is nie het hy slegs ‘n konkurrente eis vir enige skade wat hy gelei het as gevolg van die kansellasie van die koopkontrak. Word huurkontrakte ten opsigte van vaste eiendomme outomaties deur sekwestrasie beeïndig? Die algemene beginsel is dat huurkontrakte nie outomaties deur sekwestrasie van die huurder of verhuurder beeïndig word nie. ‘n Bepaling in ‘n huurkontrak dat die kontrak beeïndig word deur sekwestrasie van een van die partye is nietig en kan dus nie afgedwing word nie. Waar die huurder gesekwestreer word kan die kurator dit onmiddellik beeïndig deur skriftelik kennis aan die verhuurder te gee en sal die verhuurder ‘n konkurrente eis hê vir enige skade. Indien die kurator nie die huurkontrak beeïndig nie, sal dit in elk geval binne 3 maande na sy aanstelling outomaties tot ‘n einde kom, behalwe as die kurator die verhuurder binne hierdie tydperk in kennis gestel het dat hy van voorneme is om voort te gaan met die huurkontrak. Die verhuurder het ‘n stilswyende hipoteek oor al die roerende eiendom op sy perseel indien daar agterstallige huurgeld verskuldig is op datum van sekwestrasie en die opbrengs daarvan word gebruik om die agterstallige huur tot op datum van sekwestrasie te dek. Daar kan ook verdere huurgeld deur die boedel verskuldig wees na datum van sekwestrasie. Waar die verhuurder gesekwestreer word is die posisie as volg: Die verkoop van die eiendom deur die kurator sal onderhewig wees aan die huurkontrak as gevolg van die beginsel “huur gaat voor koop”. Die koper sal dan gebonde wees aan die bepalings van die huurkontrak. Indien daar egter ‘n verband oor die eiendom geregistreer is voordat die huurkontrak gesluit is, word die eiendom eerstens opgeveil onderhewig aan die huurkontrak. Die eiendom mag slegs vry van die huurkontrak verkoop word indien die opbrengs nie voldoende is om die verbandhouer se eis te delg nie en ‘n beter aanbod verkry kan word indien die eiendom vry van die huurkontrak verkoop word. Die huurder sal dan ‘n ongelikwideerde konkurrente eis vir skadevergoeding hê teen die boedel as gevolg van kontrakbreuk. Daar mag uitsonderings wees op die gevalle hierbo bespreek en dit word aanbeveel dat ‘n regsverteenwoordiger geraadpleeg word vir advies indien enige van die bogenoemde situasies relevant is tot u betrokke geval. ‘n Regsverteenwoordiger kan u ook bystaan in gesprekke met ‘n kurator, die bewys van eise teen die insolvente boedel asook die opstel van die nodige loslatingsaansoek indien u die solvente gade is wie se bates binne die insolvente boedel val. Die belangrikste prioriteit nadat ‘n paartjie verloof geraak het, is om ‘n begroting op te stel. Die begroting moet al die kostes van die troue insluit. • Bepaal eers hoeveel geld julle het. Vind uit hoeveel geld die onderskeie ouerpare bereid is om te bestee, indien enige. Stel vas of die bruid se ouers volgens tradisie vir die onthaal gaan betaal en die bruidegom en sy ouers vir die drank en die wittebrood. Koste kan ook eweredig verdeel word tussen die ouers en bruidspaar. Wees altyd dankbaar en spreek julle waardering uit teenoor jul ouers vir hulle bydraes, hoe gering dit ookal mag wees. Noudat julle weet, spring weg met ‘n beplanningsessie waarby almal wat ‘n bydrae gaan maak, betrokke is. • Bespreek dan tema, dekor, kleur, kos, musiek, kleredrag ens. • Stel ‘n volledige lys op van behoeftes bv vermaak, fotograaf, dvd, platejoggie of orkes, huweliksbevestiger. • Open ‘n spesiale rekening om al die beskikbare fondse in te betaal, asook jul maandelikse spaargeld. Neem in ag die totale koste vir ‘n gemiddelde troue in SA beloop tans tussen R70 000 – R80 000 vir 80 tot 100 persone. (Koste per persoon R700 – R800). 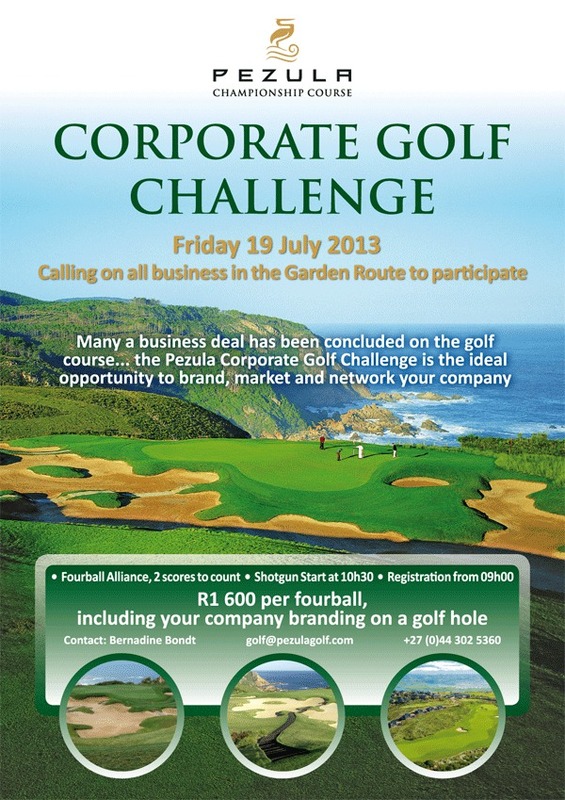 Vir bogemiddelde troues R1 500 – R2 000 per persoon. Begroot liefs 10 – 15% meer as die basiese begroting vir onvoorsiene uitgawes. • Vind ‘n venue volgens jul behoeftes. • Indien julle ‘n troubeplanner gaan gebruik, maak heel eerste met haar ‘n afspraak. • Kry skriftelike kwotasies by al jul diensverskaffers en maak seker dat die kwotasie alles insluit waarvoor julle vra. Lees die voorwaardes deeglik deur voor julle dit teken en deposito’s betaal. Om ‘n begroting goed te bestuur is uiters belangrik vir die sukses van jul troudag. Riglyne – Wie betaal vir wat? •Geskenke vir almal wat iets spesiaals vir haar gedoen het. • Alle kostes ten opsigte van die kerk, predikant, koster, kerkfooie, orrelis ens. Terwyl die gaste sit en wag vir die bruid kan hulle luister na goeie rustige musiek. ‘n Bruilof behoort plegtig en onvergeetlik te wees met gepaste musiek, plante en blomme as inspirasie vir almal. Maak seker wat is toelaatbaar vir versiering in die kerk bv kerse en klein ruikers teen die kerkbanke, al langs die paadjie af. Die gebruik van’n kapel by die trouvenue het die voordeel dat dit gerieflik binne stap-afstand van die onthaalarea is en dit verkeer asook die soek na parkering uitskakel. Die ma van die bruid kom 5 minute voor die bruid binne en gaan sit links voor. Die bruidegom staan voor in die kerk en wag vir sy bruid. Hy staan regs van die bruid. Die bruid se pa bring haar in, lig haar sluier, soen haar op die voorkop, en met ‘n handdruk aan die bruidegom gee hy haar af. Hy neem dan stelling in langs die bruid se ma. Indien die ouerpaar geskei is, kan die pa in die volgende ry langs sy tweede vrou gaan sit. Sy vriendin, of die vriend van ‘n alleen loper ma speel, as ‘n reël, nie ‘n rol nie en kom nie in aanmerking vir die troufoto’s nie. •Huwelikskontrak – Opgestel deur ‘n regsadviseur en behoorlik onderteken. (Die aanwasbedeling is ‘n gewilde keuse). • Geskeides se finale egskeidingsbevel of ‘n afskrif. • ‘n Weduwee of wewenaar moet die oorledene se doodsertifikaat hê. • Albei se ID dokumente. • Albei se mediese sertifikate(wat ter wille van versekering soms benodig word). Organiseer ‘n proeflopie die dag voor die troue om te verseker alles verloop seepglad. Na die teken van die huweliksregisters deur die predikant, bruidspaar en getuies kan iemand, of al die gaste hulle toesing. Die gaste stap na buite, kry konfetti warmee die bruidspaar bestrooi word as hulle uitgestap kom, gevolg deur die blomme- en strooimeisies, en die strooijonkers, elk regs van ‘n strooimeisie. Daarna volg die ouerpare. Die keuse van ‘n geskikte huweliksbevestiger is een van die belangrikste aspekte van enige troue se beplanning – buiten die feit dat hy oor die nodige kwalifikasies moet beskik. (Maak seker dat die huweliksbeampte ‘n lisensie en ‘n geldige aanstelling deur die Departement van Binnelandse Sake het om die huwelik te mag voltrek). Indien die bruidspaar verkies dat die seremonie deur ‘n vriend of familielid gelei word, kan hulle ‘n gelisensieerde huweliksbeampte nader om die wettige deel van die huwelik te voltrek. Die bruidspaar moet ‘n huweliksbevestiger kies by wie hulle albei aanklank vind en mee gemaklik voel. Dit is die bruidspaar se keuse hoe formeel, tradisioneel, godsdienstig, informeel of ontspanne die seremonie moet wees. Humor en interaksie tussen die paartjie, die gehoor en die huweliksbeampte help baie om die senuwees te kalmeer en dra by om die seremonie genotvol te maak. Waar kan jy ‘n geskikte huweliksbevestiger vind ? As die bruid en bruidegom nie aktief by ‘n kerk betrokke is nie of aan verskillende denominasies behoort kan hulle ‘n interkerklike huweliksbevestiger nader. Konfetti simboliseer oorvloedige reën van seën. Tradisionele gebruike was die strooi van roosblare en vere-konfetti. Wit duiwe kan vrygelaat word of met ‘n bietjie kreatiwiteit kan hierdie deel van die troue ook baie spesiaal wees. Kos vir die Siel – Wat laat ek agter,spore? Sy word die afgelope paar jaar al kleiner, die hare al witter. Haar refleksie in die venster, waar sy turend oor die see uitstaar om tog net ‘n dolfyn te sien, toon net ‘n klein bondeltjie mens, verdwerg in ‘n groot leunstoel. Op die oog af is sy maar net nog ‘n ou mensie van 82 jaar. In ‘n skare sal sy ongemerk verbygaan, niemand besonders nie, net nog een van die talle bejaardes wat ons daagliks teëkom…totdat sy begin praat. Haar kleinkinders vertel vir hul vriende in nood dat Ouma altyd bid, die Here moet haar stil, rustig, tevrede en blymoedig maak in alle omstandighede, want so het hulle haar menigmaal hoor smeek by haar Hemelse Vader, terwyl sy vir Oupa versorg het vir nege jaar na sy beroerte. Nooit het sy gekla nie, maar altyd ‘n grappie gehad om te vertel. Haar kinders se vriende laat geen geleentheid verbygaan om haar te gaan opsoek nie, want niemand kan glo sy is al so oud nie! Niemand loop uit haar huis sonder ‘n plantjie of twee uit haar tuin nie, of sonder ‘n rumatiek-handgeborduurde unieke tafelnet – waarvan geen twee eenders is nie. En dan wonder ek…watter spore gaan ek agterlaat? Spits ek my toe op positiewe spore? Spore van bemoediging, wysheid, vertroosting, motivering? Of laat ek spore van negatiwiteit en bitterheid na? Sal ek onthou word as ‘n liewe ou tannie by wie mense graag ‘n rukkie wil stilstaan om uit my put van wysheid te drink, of sal ek nors en afstootlik wees en liewer vermy word? Allergies In Dogs – What Can I Do About Dog Allergies Symptoms? It is suggested that if you are looking for permanent relief for dog allergies symptoms you need to go see a veterinary dermatologist. 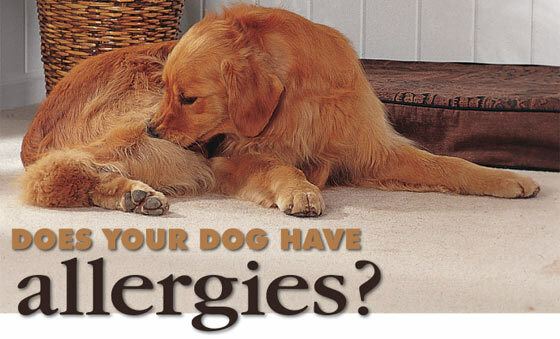 Here you can find the cause for sneezing in dogs, general allergies in dogs and most of your dog skin problems. People medicines such as Benadryl and Claritin will only provide temporary relief of the signs and your dog will still be uncomfortable. In some cases the dermatologist may be able to make up allergy shots if they find out the cause of your dogs allergies. You should not make any diet changes or treat your pet with any medication without strict guidance from a veterinarian. Changing the dog’s diet without the guidance from a veterinarian can make it more difficult for them to isolate the cause of the allergies. It’s entirely possible that the causes may involve specific foods. This requires an extensive food trial. However it could be environmental agents that are causing your dog allergies symptoms which would require further allergy testing. On your own you could try hydroxizine or atarax for some relief. Do Not use prednisone, it is not the greatest it’s a steroid and have several side effects. You can also try eliminating the normal protein source with another protein like fish or venison. It takes up to 2 to 3 months of a diet change to tell if there is any effect. Allergic contact dermatitis usually shows up in dogs as a hypersensitivity reaction to particular molecules in your pet’s environment. Irritant contact dermatitis happens when the skin is exposed to noxious substances in the environment. The symptoms and biologic mechanisms in these two disease structures are closely similar and are often discussed together. Allergic contact dermatitis is a rare disease, which occurs when an animal’s skin overreacts to certain small molecules in the environment. Substances, which can cause allergic contact dermatitis in dogs include some antibiotics applied to the skin, metals such as nickel, materials like rubber or wool and chemicals such as dyes and carpet deodorizers. Irritant contact dermatitis occurs when the dog’s skin is exposed to intensely irritating chemicals like the sap in poison ivy or road salt. Lesions occur on the areas of skin that are sparsely haired and exposed to the offending cause. Areas like the back of the paws, abdomen, muzzle, and lips. The affected areas are usually very red, have small bumps or blister-like lesions, and itch like crazy. Also in irritant contact dermatitis may occur. The key to managing these dog allergies symptoms is the obvious removing or restricting of exposure to any allergen or contact irritant in the pet’s environment. If your not able to do this, then using fatty acids, antihistamines, biotin, and topical shampoos can at least control the itching. 17de Laan, Mosselbaai en is elke dag oop van 08:00-18:00. Die gewilde mark is soos elke jaar ‘n paradys van unieke hand gemaakte geskenke en produkte o.a. 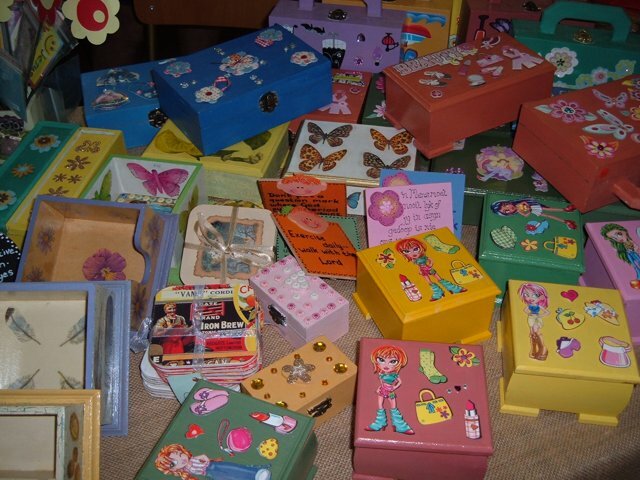 naald-,leer-,krale- en hout werk, draad en herwinnings produkte, klere, gebak en lekkers, juwele, boeke, kinderspeelgoed en artikels, kramiek, mosaïek, snuisterye en vele meer wat u beslis nie in winkels te koop kry nie. Die Kenani Dienssentrum verkoop heerlike eet- en drinkgoed. Heerlike musiek gaan almal in die regte vakansie-stemming bring. NUUT: ‘n Potjieskos kompetisie word gehou op Woensdag ,18 Desember en daar is groot pryse om te wen. Hierdie is ‘n heerlike plattelandse Vakansie-ervaring by die see !! So bring die familie en vriende en geniet dit saam; terwyl u Kers-inkopies doen. Thank you for your dedication, initiatives and hard work. May Mossview under your very capable guidance and leadership grow from strength to strength in the years to come. Ai, ‘n lewe kan tog so goedkoop en so kort wees. Whitey was ons koerant afleweraar. ‘n Regte “straatsitter”, maar onder streng toesig, het hy homself uitmuntend van sy taak gekwyt – of dit aflewering of tuinwerk was. Donderdae sit hy al op die sypaadjie en wag vir die Mossview. Toe verlede Vrydagoggend was Whitey net nie daar…die boodskap, “Whitey is die vorige aand vermoor”. “Ons sal jou mis…daarby kon niemand ‘n graaf swaai soos jy!! – RIP”. Met die skoolvakansie iets van die verlede, wens ons ons leerders en leerkragte voorspoed toe vir die tweede helfte van die jaar. Daarby is al wat ‘n vrieskas is seker vol wildsvleis, biltong en droëwors, want as jy maar hoor, is daar mense oppad of terug, na ‘n jagnaweek. ‘n Groot lekkerte die tyd van die jaar. 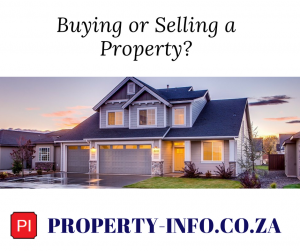 Mossview is nou ook op die internet beskikbaar -besoek ons gerus by http://mossview.co.za en kom kuier vir ons op Facebook. MOSSEL BAY, Southern Cape (14 July 2013) – Cyril Botha recovered from a three-putt bogey at the first and went on to sign for a four-under-par 68 to win the A Division of the Louis Oosthuizen Tournament on the Glacier by Sanlam Junior Series at Mossel Bay Golf Club on Sunday. 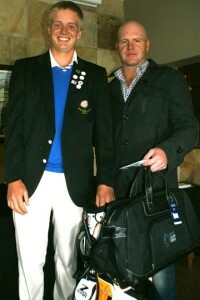 The scratch golfer won by a single stroke over Arno Muller on a cold day at the home club of 2010 Open champion Oosthuizen. “It’s my first win on the series so I’m really pleased about this,” said Botha, who after his opening bogey went on to make five birdies and no further drops. The highlight of his round was the birdie on the par-four 14th, where Botha hit a three iron and then an eight iron to within seven feet and holed the putt. Mossel Bay junior golfer Cyril Botha (left) is congratulated by Adam Hayes after wining the A Division of the Louis Oosthuizen Tournament on the Glacier by Sanlam Junior Series at Mossel Bay Golf Club on Sunday. Credit: MVM.